The UK's most popular fence panel, our larch lap panels are an inexpensive way of creating a traditional fencing style for your garden. 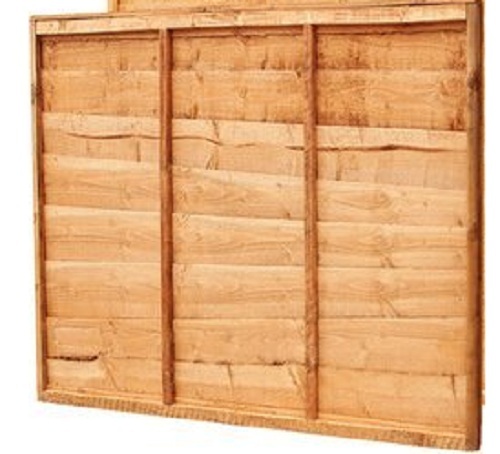 Available in a range of sizes from 6ft (1.8m) x 6ft (1.8m) to 6ft (1.8m) x 2ft (0.6m). The panels are pre-treated and ready for outdoor use. They can be fixed to our timber fence posts or concrete 'slotted' posts which have a slot running down the post into which you can slid the panel.